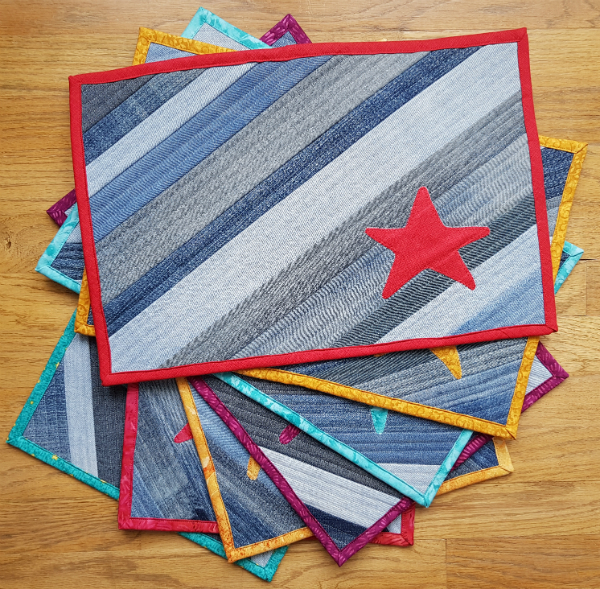 As I mentioned a few posts ago, for Christmas last year I gave each of the kids I babysit a personalized denim placemat and recently one of the moms asked me to make more placemats so they'd have a whole set. 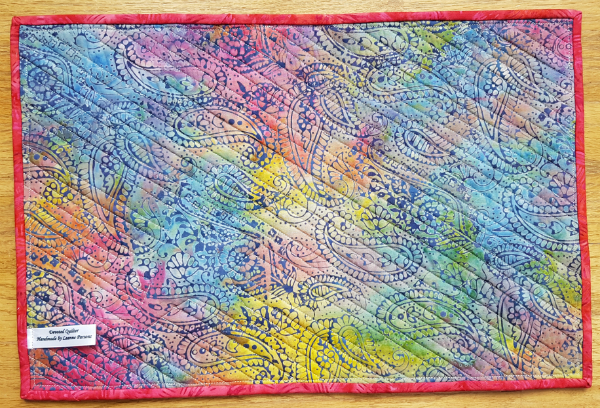 What with working on a bunch of things all at once, the placemats took a while, but they're finally finished! I love making things from my collection of old jeans! 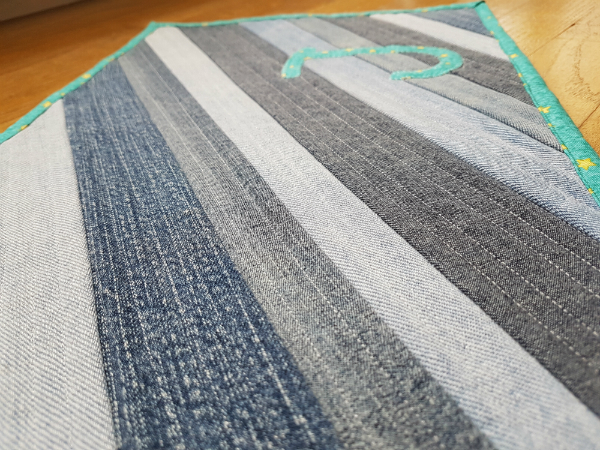 It feels good to create something beautiful from the pile of outgrown, ripped beyond repair or stained jeans that I've hoarded in a closet for 'someday' 😊 Of course, even with these placemats, the pile doesn't look any smaller, lol. Just like quilting cotton scraps, I'm sure the jeans are multiplying when I'm not looking. 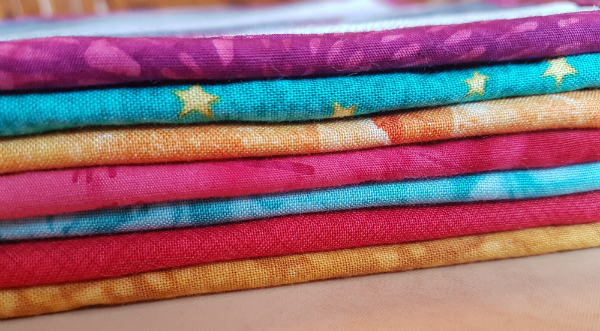 I didn't have enough of the fabric I used to applique the E to the first placemat, so my customer chose to have all of the placemats use a different fabric and I love the look of the colourful bindings when they're all stacked together. 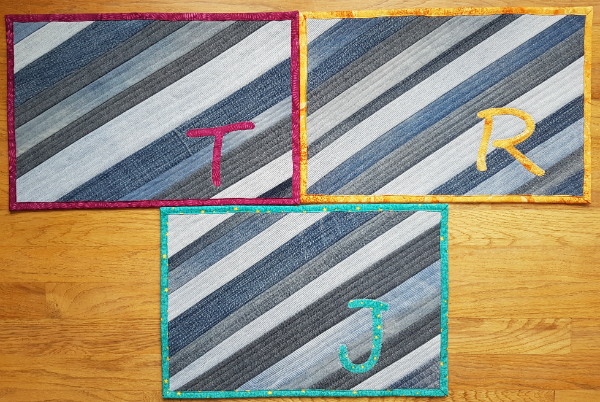 It's a family of 4, with one placemat already made, so here are the other 3 placemats with initials. 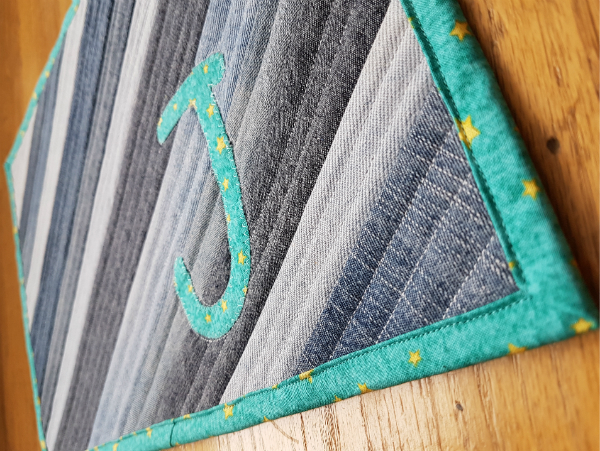 I think the J placemat might be my favourite (and not only because it's for the little baby). 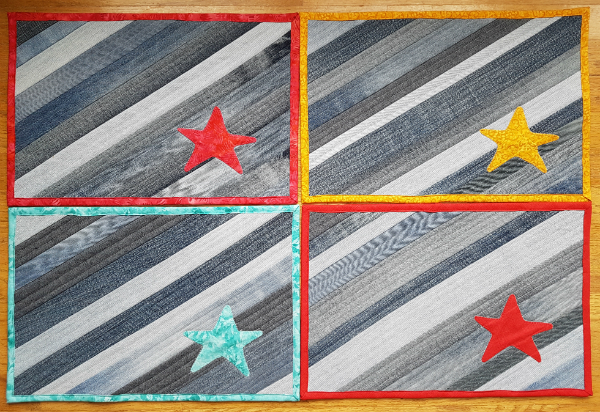 I especially love the texture created by quilting the randomly spaced diagonal lines following the seams of the denim strips. I ran my fingers over the placemats quite a few times while working on them. She also asked for 4 placemats with stars for company and she specified that the stars didn't all have to be yellow. I love how the colours in the backing coordinate with all of the different colours of the applique and bindings. That's one WIP crossed off my list, but it certainly hasn't reduced the swirl of ideas and plans in my head. I may or may not have added 2 more WIPS since I wrote about all the things I was working on, lol. I'm pretty sure there will never be enough hours for all the things I want to make. Those are amazing, beautiful job! You've inspired me as well! The placemats look great, Leanne! 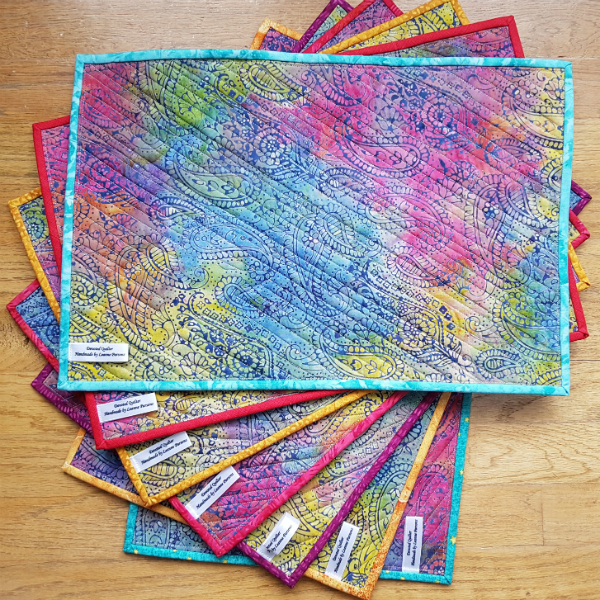 It always feels so good to cross a to-do off the list and I am sure these placemats will be used and loved! What a great idea! I think scraps multiply overnight with just air as their "yeast"! I'm going on retreat this weekend and I'm thinking about just taking my can full of scraps and making strip blocks all weekend. What are the chances I'd even make a dent? Ha! Amazing. A great use for old jeans. Love the denim in the placemats. Great idea! And the personalization plus the stars for guest - genius. Enjoy your finish! I'm glad you have a swirl of ideas in your head Leanne. They are always good ones. These are such fun and lovely placemats. I like the stars. Great idea Leanne. I love the initials and stars. Something for everyone. Wishing you and your family a holiday filled with peace, joy, and love.